Move the ECM without disconnecting the connectors. 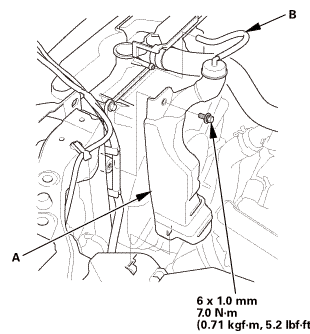 Disconnect the coolant reservoir hose (A). 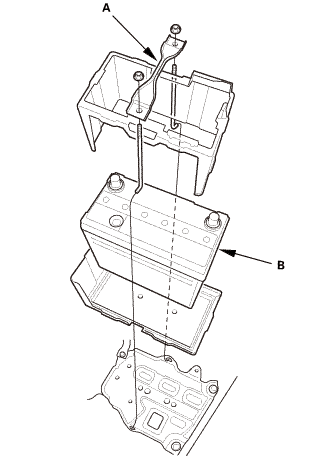 Remove the coolant reservoir (B). 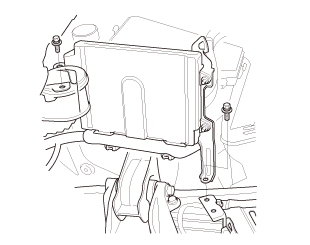 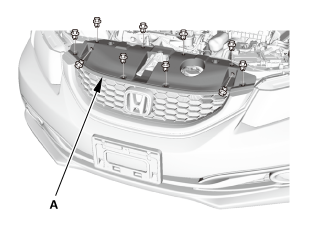 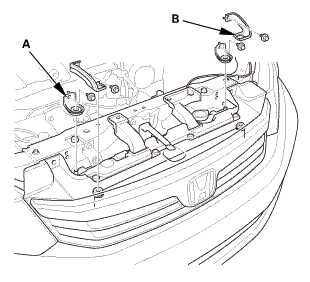 Remove the radiator mount upper brackets/cushions (A), and the A/C condenser upper mount brackets (B). 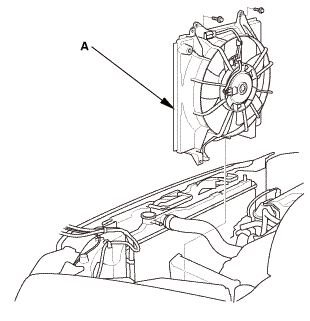 Remove the A/C condenser fan shroud assembly (A). Remove the radiator fan shroud assembly (A). 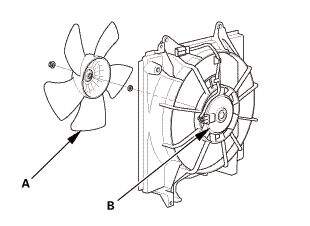 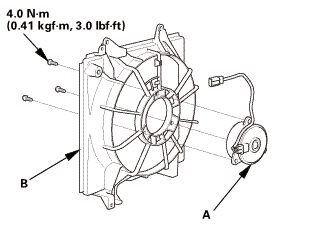 Remove the radiator fan (A) from the radiator fan motor (B). 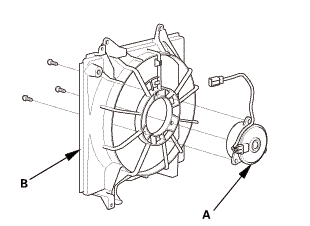 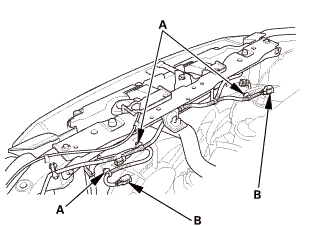 Remove the radiator fan motor (A) from the radiator fan shroud (B). 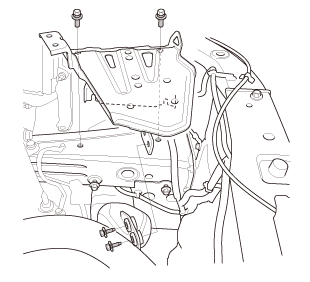 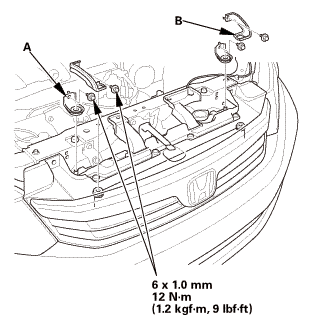 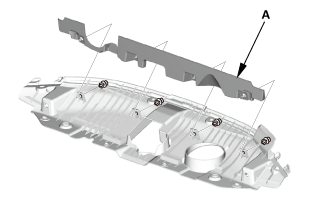 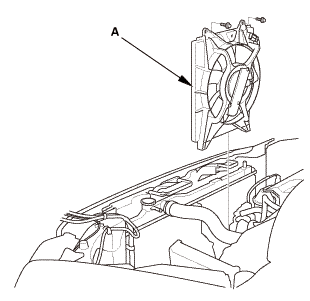 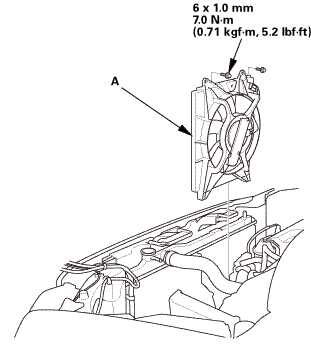 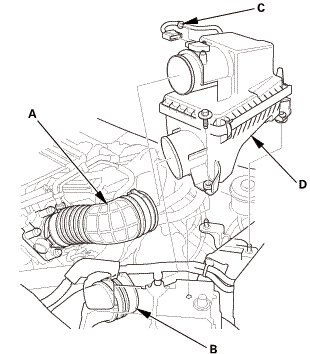 Install the radiator fan motor (A) to the radiator fan shroud (B). 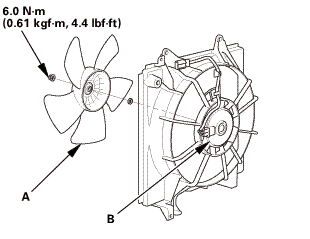 Install the radiator fan (A) to the radiator fan motor (B). 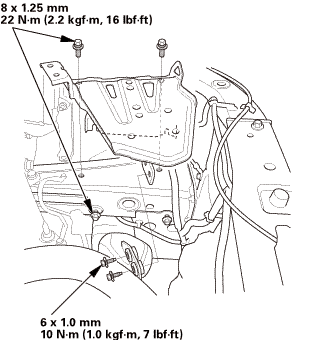 Install the radiator fan shroud assembly (A). 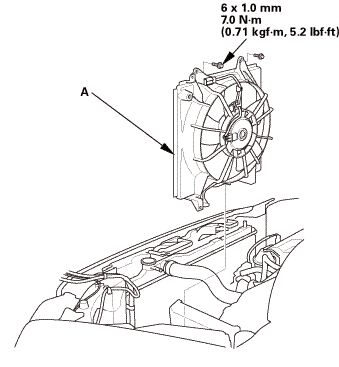 Install the A/C condenser fan shroud assembly (A). 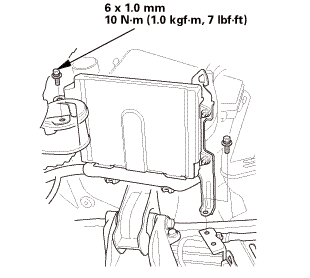 Install the radiator mount upper bracket/cushion (A), and the brackets (B). 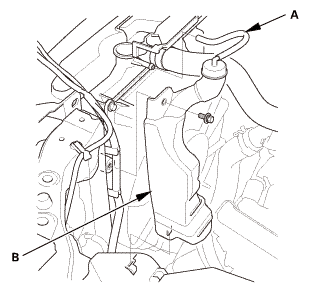 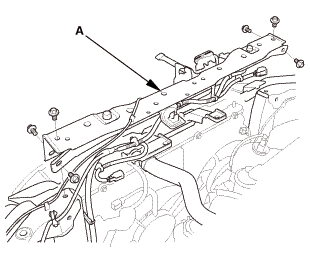 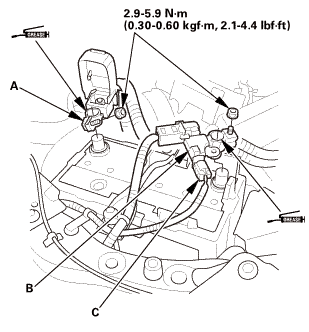 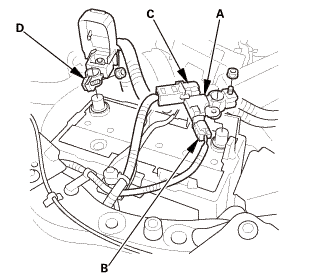 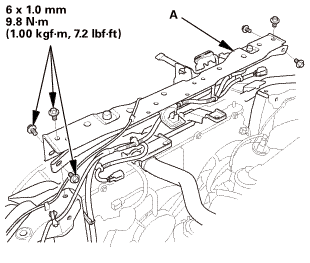 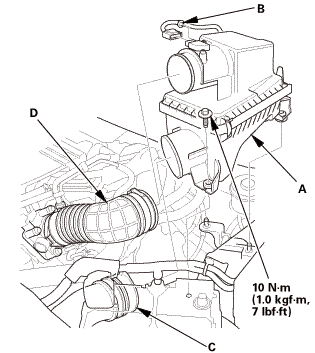 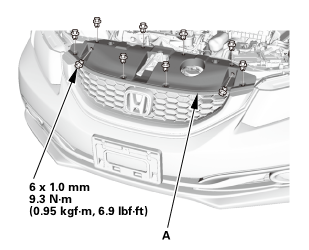 Connect the coolant reservoir hose (B).